Received a question the other day about getting your saxophone in tune. There are a number of factors with intonation. A great player can make the horn work usually. But you don’t necessarily want to fight your horn to be in tune. Hello I have a question. I have a saxophone i’ve been using for a couple years now. No matter what i do even when i use a tuner i cant the sax to get in tune? What can be wrong? Can i get it professionally tuned? Is it possible that I might need a new sax? Please help thanks! 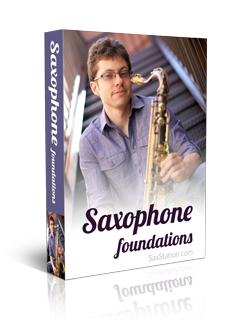 Some saxophone are built better than others and tend to have better intonation. What kind of sax do you have? That said, you have a lot to do with the intonation too. Adjustments with your throat, embouchure, etc. Adjusting the positioning of the mouthpiece on the neck will help get you in the right range for the temperature/conditions. But you can’t just set it and expect everything to be in tune. Can you get any notes in tune? And do you tend to be flat or sharp? here is one hint, don’t overblow, make sure you have the right reed for your mouthpiece, and tune your horn to concerta-440…saxophones are not like electronic keyboards where everything is perfect you have to spen time and blow long tones and overtones! Just listen to all the great players and practice practice practice. 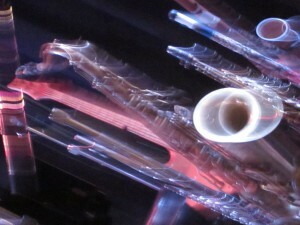 i find that if you keep using a tuner you tend to loose the playing by ear and start to find it hard to play without using the tuner..its all to do with the air pushed through the sax and embroucher. What note do you tune on to use a tuner? E.g. what note do I play on an alto sax when I’m trying to position the mouthpiece, and what note corresponds to that on the tuner? Transposition baffles me. You can tune any note on the saxophone. If one note is in tune, it doesn’t mean all the notes are in tune. But realistically, you tune a couple notes. Often a concert Bb, your G on alto and maybe that note an octave above. The alto sax is in ‘the key of Eb’ so an Eb on the piano is your C. The distance between those two notes is a minor third. It’s a bit trickier to transpose for alto (compared to tenor/soprano/clarinet/trumpet which are all in Bb). You’ll get the hang of it after a bit. Okay. Thanks, Neal. I’ll experiment with that later.